Transatlantic trade relations look set to strengthen with the announcement of a new trade mission from Rhode Island to Scotland and the North of England. The trade mission from Rhode Island to Scotland and the North of England is slated for this September. It will be led by the Chafee Center for International Business at Bryant University, Rhode Island Commerce Corporation, and the US Department of Commerce. Ray Fogarty, director of the Chafee Center for International Business, detailed how Rhode Island business leaders are set to visit “Northern powerhouse” cities of Edinburgh, Glasgow, Leeds and Manchester. “The UK is one of the top export markets for New England businesses, and we’re looking forward to introducing the delegate firms to potential clients there in order to further strengthen links between the UK and USA, and to grow trade and do business,” he commented. Mr Fogarty underscored the “huge potential” for trade between the whole “Northern Powerhouse region and the State of Rhode Island”. The trade mission, which is set to depart from TF Green airport on 15 September, will return a week later. Alongside partnering Rhode Island businesses with potential customers in the UK, several events are set to take place to shine a light on the State’s tourism offering to visitors from Scotland and England. Providence-based life sciences law specialist Feeney Law, which has built a network of UK lawyers based in London and Leeds Warren-based environment monitoring specialist AVTECH Software. The September visit follows a trip to Leeds in 2016 when business leaders met with leading firms and civic leaders in the region for the first time, which highlighted the similarities between the two economies and strengthened the ambition to do business together. How can my Rhode Island get involved? 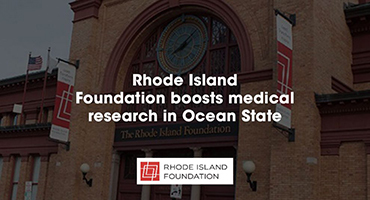 STEP funding is available to qualified Rhode Island businesses to offset trade mission costs. Further details about the trade mission, and details about costs and eligibility can be obtained via Kathy Therieau at Commerce Rhode Island on Katherine.Therieau@commerceri.com.